A Saudi women’s rights activist filed a lawsuit against interior ministry over a decree banning women from obtaining driving licenses. A Saudi women’s rights activist said on Monday she has filed a lawsuit against the interior ministry over a decree banning women from obtaining driving licenses in the ultra-conservative kingdom, AFP reported. Nassima al-Sadah is the third woman to file such a lawsuit this year over the rule, which enforces a traditional ban on women driving in the male-dominated Muslim nation. “I filed the lawsuit against the traffic department of the interior ministry at the Dammam court” in Eastern Province, she told AFP. Previously, Manal al-Sharif became a national symbol of women’s rights in the kingdom after she was arrested last year for defying the ban. Rights activist Samar Badawi had also filed a similar lawsuit, claiming she was repeatedly denied after applying for a driving license in Eastern Province. In June 2011, women activists launched a Women2Drive campaign on social media networks, with many defying the ban and posting videos of themselves driving. The following June, activists cancelled plans to get behind the steering wheel on the first anniversary of their campaign, opting instead to petition King Abdullah to lift the restrictive ban, AFP reported. Their campaign, which spread through Facebook and Twitter, was the largest mass action since November 1990, when 47 Saudi women were arrested and harshly castigated after they drove cars in a convoy around the capital city of Riyadh until being stopped by law enforcement authorities. Women in the kingdom who have the means hire drivers, while others must depend on the goodwill of their husbands or male relatives. 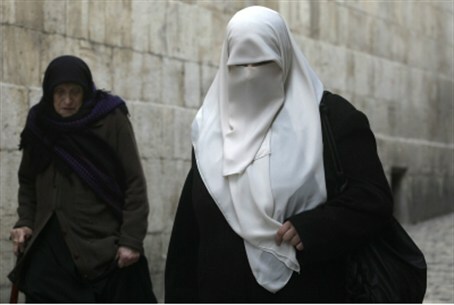 They are also obliged to be veiled in public and cannot travel unaccompanied.